Welcome back, friends! It's been entirely too long since we've had a chat. 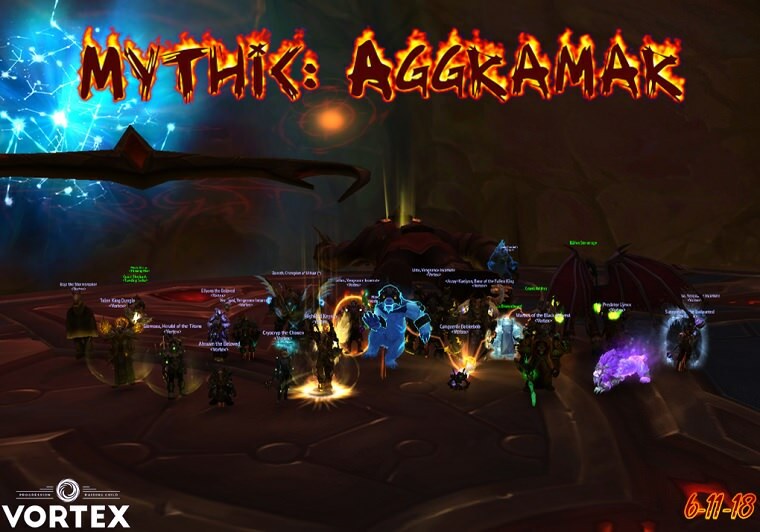 We're recently overcome two different yet equally difficult raid bosses: Mythic Aggramar and the Attrition Boss. In what we are assured is his final form Aggramar gets a little bit spicy, modifying his previously regular as clockwork Taeschalach Technique and instead changes up the order in which he does each part of the technique. It's a bit tricky to get the hang of, but is actually one of the more interesting changes. The other main change involves the Embers which join the fight. They get rather ornery, enraging when they get hit by Aggramar's other fiery abilities, becoming much more annoying to control, and requiring a specialized composition (Blood DKs are highly prized) to manage. While the Legion expansion begins to wind to a close, we continue to push on with our newly gained friends and fellow raiders to finish Antorus once and for all. Argus pulls are already a thing, and we're optimistic that Cutting Edge is on the horizon. Grats guys! You're almost there!